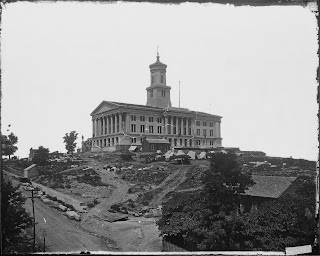 The construction of the state capitol building in Nashville, Tennessee may have taken 14 years to complete...but its taken over 150 years to settle one of the biggest feuds in the entire state! When construction on the capitol began on July 4, 1845, architect William Strickland was called in from Pennsylvania to work on the project. The limestone building was modeled after a Greek Ionic temple, with its lantern designed after the Choragic Monument of Lysicrates in Athens. Slave and convict labor made up the majority of the workforce. It took two years to lay the foundation of the building, and other issues, including a lack of funds, turned what William Strickland assumed would be a quick job into a never ending nightmare that would prevent him from ever returning home to Pennsylvania again. The main problem was that a man named Samuel Morgan. 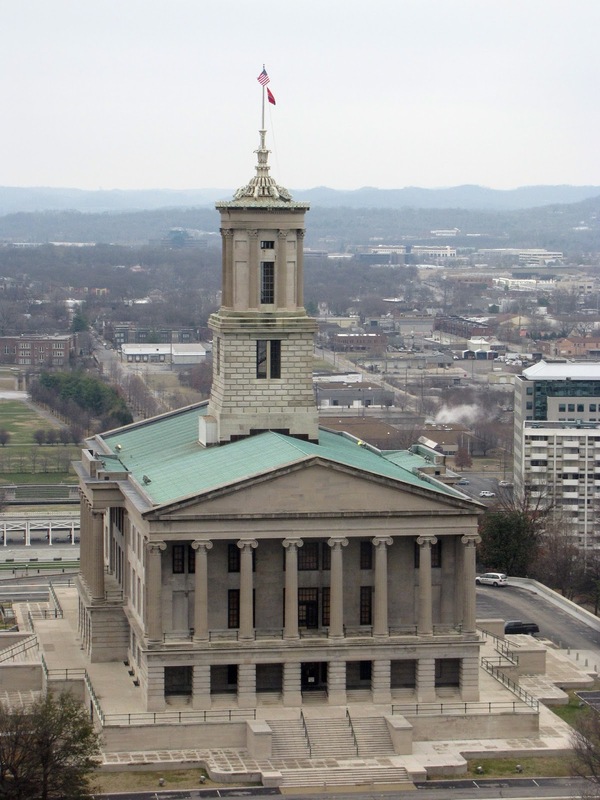 Morgan had been hired by the Capitol Commission to oversee Strickland's work and keep him on schedule and under budget. Not surprisingly, Strickland and Morgan were constantly at odds over the design of the building and especially the money involved. Disagreements over even the minutest of issues would erupt into a fit of screaming and cursing between the two men. That volatile relationship finally came to an end in 1854 when William Strickland passed away. With the construction of the capitol still not complete, his son took over in his place. As a great honor, William Strickland was entombed within the capitol walls---northeast corner to be exact. But...did that REALLY end this passionate feud? Many say no. Construction finally did wrap up in 1859 and Samuel Morgan eventually would join Strickland in the grave...quite literally, actually. When Morgan died in 1880, he was also entombed within the capitol walls---southeast corner. 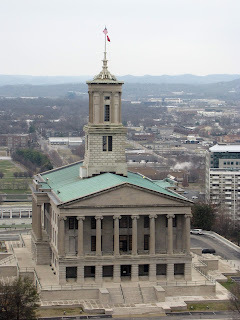 That must have not sat too well with Strickland because capitol staff, allegedly including police personnel, have heard on many occasions the heated arguments of two men coming from the northeastern corner of the building. When they go to investigate, they find no one there. And, while the two men who are doomed to spend eternity arguing over design details and budgets are the capitol's most famous ghosts, some stay they are definitely not the only ones! Among the odd noises and footsteps heard when no one is around, prominent politicians and many others have stated that they've seen or experienced a number of different things including the apparition of a woman wearing antebellum dress, another apparition of a man kneeling at the James K. Polk mausoleum, and the apparition of a Confederate soldier. As for architect and his overseer? Well, after all these years, they may have finally found some common ground. It is said that whenever remodeling or construction goes on at the capitol, the ghostly duo team up to protect the capitol they worked so hard to build.